Loyal Blog Readers- here, there, everywhere! Merry Christmas to those who celebrated (as usual I am lagging behind, four days this time. Sorry) I wish you all never ending peace and happiness – though I know in today’s world that is almost always unlikely to happen, but it’s a wish. What’s happening in my part of the world? I went silent and wiped myself off the face of the earth for almost a week as my one and only sibling got married. A dream day, I must say; Feet and shoulders are still in pain, not that I danced or anything (wink. wink.). The Christmas spirit here year by year becomes more and more colourful. The malls are beautifully decorated and so are some homes. Many of my Muslim friends have put Christmas trees inside their homes to get into the festive mood. I love driving the streets at night and seeing beautiful lights around Family Mall, Majidi Mall and even few of the smaller malls. Most of them have a decorated section inside to reflect the Christmas spirit. I am proud to still live in a city where we can celebrate side by side with our Christian brothers and sisters. 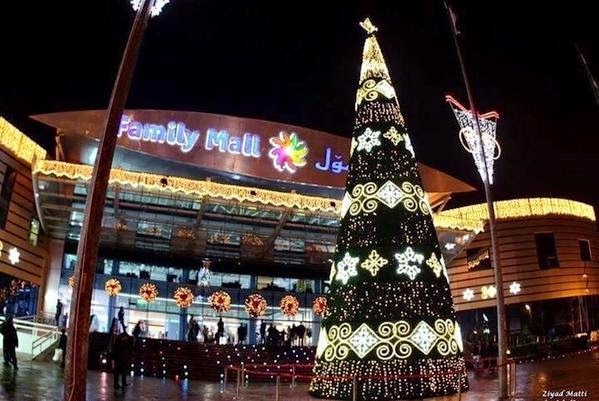 However, my beautiful city Erbil is a little wounded this year and most likely won’t blow our minds with the colourful fireworks that rock the night sky on New Year’s Eve. It was a tough second-half to 2014, many of our boys lost their lives fighting terrorists/ beasts/ monsters (ISIS) on frontlines. Hence, while we always cling onto life and live every moment despite all the tough circumstances our nation encounters– in memory of those who lost their life this year, those who had to flee their homes and in respect to all the families who are still mourning the loss of their fathers, sons, brothers and husbands (even daughters) we shall keep our celebrations inside the walls of our homes. I am thinking of doing something special for every person that has come into my life in 2014, including the girls at the refugee camp. I will keep you posted on that. For now, just making the most of the last few days of 2014, finalizing little bits and pieces and waiting for a turn in the page.